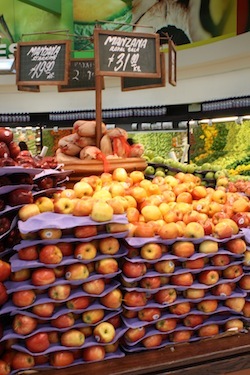 One of the most dos for me for any place I travel is to visit the grocery store. My cousin has a theory that you can tell a lot about the place you are visiting by what they sell in the grocery store – and I agree whole-heartedly. 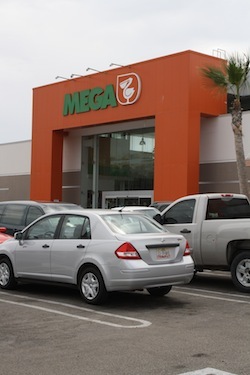 Based mostly on my experience with Mega (a giant with everything from furniture, electronics, clothing and school supplies to rows and rows of food) and Super Ley ( a smaller sized store that was in walking distance to the condo we rented at Alegranza), here’s some info about grocery stores if you are going to be in Los Cabos for awhile. 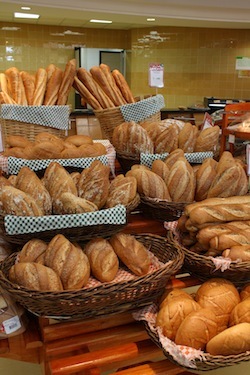 Visit the bakery section for your bread – it’s worth it. Here’s how it works- you grab a plastic tray and a pair of tongs and help yourself. 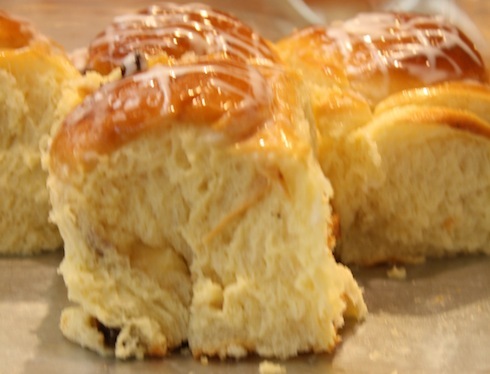 As the baked goods do not have preservatives you are better off just getting what you need to for a night or two. The baggers work mostly on tips. About 5 – 10 pesos is a good tip. Or if you are carrying cash from home – a dollar. But don’t give any US/Canadian coins because it’s close to impossible for them to get the coins changed. You will find a lot of products that you do recognize. I hate to say it – but I ran on Lucky Charms for breakfast and stocked up on a lot of Red Bulls. You can count on finding tons of Coca Cola, Hershey, General Mills, Pringles etc. You will also find familiar brands in shavers, shampoos, soap etc. Herbal Essences, Gillette, Old Spice, etc are all stocked in the shelves. But just because there are things you recognize, doesn’t mean those are the only things you should try. A lot of the products produced in Mexico are very good and taste similar to products from home. And you will probably save money. Not all of the products you recognize will taste the same. I bought a bag of cheese Doritos early on and quickly found out that the Doritos in Mexico have more of a jalapeno taste. You will find that Mexican Coke tends to be a little sweeter than what you are used to. 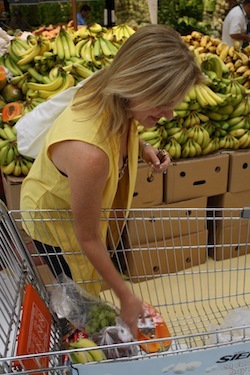 Filling up the shopping Cart at Mega. 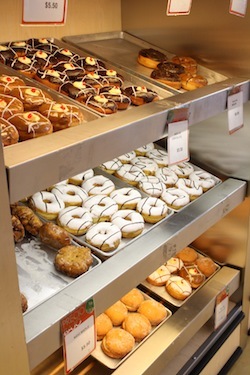 Donuts! Don’t they look delicious? They even sell clothing in Mega. 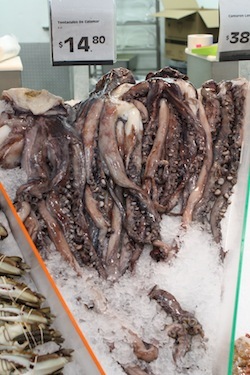 They have a great seafood section. Where do you shop in Cabo?